Onions, along with leeks, garlic, and chives, belong to the genus Allium. They come in various colors ranging from white to yellow to red with a flavor range from mildly sweet to strongly pungent. Onion bulbs develop in direct relationship to hours of daylight and are divided into two groups. Short-day cultivars produce the best bulbs when days are short and nights are long. Long-day cultivars produce during long days of sunlight when the nights are short. Long-day varieties tend to be more strongly flavored and store better. The perfect onion will have 13 leaves and 13 rings of scales for each bulb. 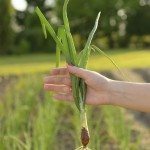 Onions are easy to grow; however, even in perfect soil, nutrient and light conditions, gardeners face a problem over which they have little control: onion bolting. Why does my onion plant have a flower so early? What is onion bolting? How can you keep onions from bolting? When an onion plant prematurely sends out a flower stalk, it’s referred to as onion bolting. Onion bolting is a natural process that occurs when the plant is under stress. While we gardeners may enjoy the beauty and taste of our plants, we mustn’t forget that the plants sole purpose is to reproduce. When you notice your onion has flower buds, you know Mother Nature’s whimsy has put the plant in panic mode — Help! Help! I’m going to die! The plant’s genetically coded response is to reproduce as quickly as possible and that means flowering! Now that you have the answer to, “What is onion bolting?”, let’s look at some of the causes. There are several possible reasons your onion has flower buds before it should. Since onions are planted early in the growing season, it’s common in some areas to have a cold snap. Those few days of cold weather can send your more mature plants into panic mode — fall has arrived! I must see that my onion has flower buds before I die! A more common cause of onion bolting is the hot, dry weather of summer — my home has become an oven and I’m dying of thirst! So, how do you keep onions from bolting? Don’t let onions flower! Protect your plants from those early season cold snaps by covering them. Keep your plants well watered during those heat waves. Not only will your onions appreciate the drink, the evaporation of surface water will help cool the air around your plants. The best way to keep onions from bolting is to keep them from stress. Don’t let onions flower is often easier said than done, but there are a few things that might help. Use larger sets for green onions and you’ll harvest them before they have a chance to bolt. For larger onions, try seed or transplants, as studies show they acclimate better to temperature fluctuations. 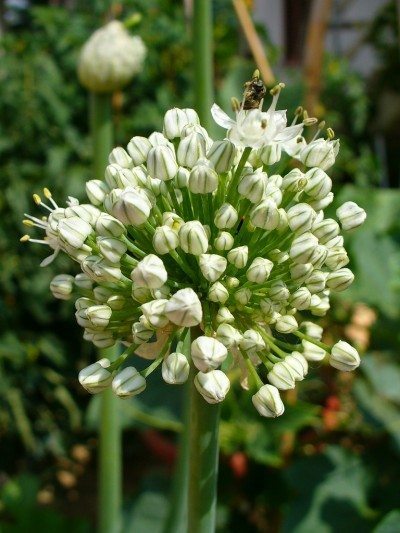 As soon as you see an onion has flower buds, snip the buds to prevent the bulb from splitting, then harvest and eat those onions first, the sooner the better. Onions that have bolted don’t store well. 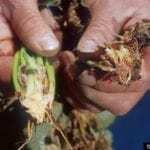 Onion bolting is a problem for even professional growers. You do what you can to prevent it and make the best of it when it happens anyway. A good thing for all gardeners to remember: You can’t always beat Mother Nature.